We have already touched upon OLAP query language, to be precise MDX. Today we would like to highlight MDX primary components: members, sets and tuples. What are OLAP and MDX? Practice makes perfect, so let’s return to OLAP definition once again. OLAP or Online Analytical Processing a method for multidimensional data analysis through query language. This BI tool was created for effective data analysis, reporting, planning and forecasting. The main benefit is that the data can be analyzed from the different points of view. And after, the data is sorted and organized in different data cubes and categorized by dimensions. As OLAP is based on query language, we are moving on to the next part – MDX language. Multidimensional Expressions (MDX) is a query language for OLAP in database management system. MDX is aimed at work with OLAP members, dimensions and hierarchies. It allows querying data from SQL server and get a dataset with axis and cell data. What are the main components of MDX query? And how does it work? Follow the next part to learn. Being a query language MDX has its own syntax, stage of query complexity and structure. SELECT The core MDX query statement. Helps to identify which dimension members will be included in each axis for the MDX query structure. WITH This clause allows to calculate the named sets during the processing of the SELECT and WHERE clauses. FROM Names the queried cube and determines which multidimensional data source to use for filling MDX SELECT statement result set. WHERE Defines which dimension or member used as a slicer dimension. MDX queries can be of two types: simple and complex. Such BI tools as Ranet OLAP are very useful if you want to have an option: generate MDX query manually or automatically. Design mode: MDX query is generated by the system automatically. Good solution for fast data analysis in companies without IT staff. 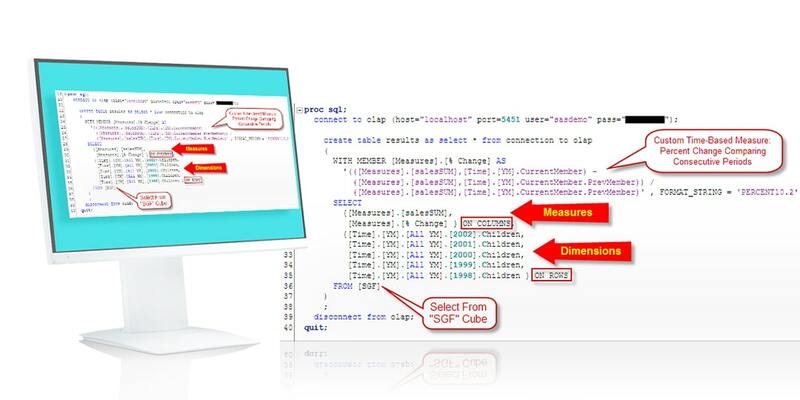 Custom query mode: MDX query is generated by the user manually. The benefit is the query can be of any complexity and meet all the user requirements. Scalar is either a number or a string. Dimension is an element in a cube and it’s initial part to arrange measure and attribute. Hierarchy is primarily a dimension hierarchy and is organized inside dimensions, can’t be determined by unique names. Level belongs to a dimension hierarchy and in its turn is organized in it. Members represents concrete data of OLAP dimension. Tuple is a collection of members from various dimensions and can be determined by several members. Set in its turn is a collection of tuples from identical dimensions/hierarchies. Other: there are also member properties as an alternative to data attributes. Let’s overview more closely three main components: member, set and tuple. Member is an element in dimension, which represents at least one data occurrence. A member can be described as one or more records in the database whose value in this column falls under this category. It is also the lowest reference level when describing cell data in a cube. Members can also be created as part of a MDX query to return data based on evaluated expressions, instead of the data stored in the cube for the query. Such members are called calculated members, and they provide more power and flexibility to the MDX. A tuple can be used either to refer to the cell value that the tuple indicates, or to indicate a combination of elements when used in a function. A tuple can include elements in several dimensions, as well as several elements from one dimension. The term dimensionality is used to refer to the sizes described by elements in a tuple. Order plays a role in the dimension of the tuple and can affect the use of the tuple in the set. Set in its turn is an ordered composition of tuples with the same dimensionality. The set is most often used for sizing axes and slices in an MDX query, and therefore it can have only one tuple or in some occasions, it can be empty. Explicit input of tuples and putting them into braces is not the only way to get a set. 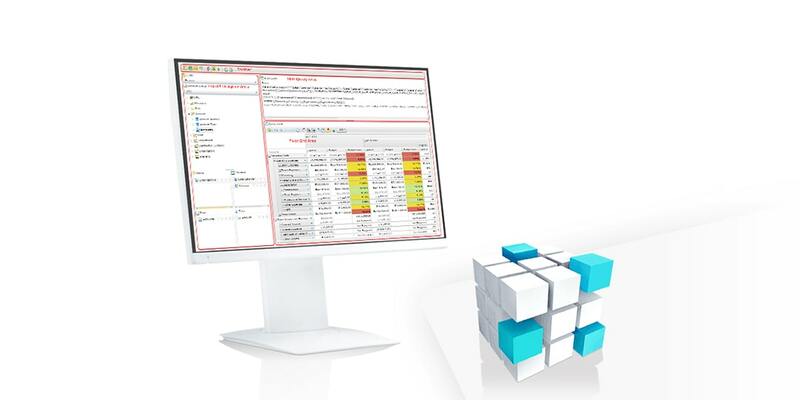 MDX supports a wide range of functions that return sets. The colon operator allows you to use the natural order of the members for set creation. Other MDX functions that return sets can be used either by themselves or as part of a comma-separated list of members. As like as tuples, sets also have dimensionality. Since a set consists of tuples, the dimensionality of a set is expressed by the dimensionality of each tuple in it. Because of this, the tuples in the set must have the same dimensionality. There is also such term as named set. A named set is a set for which an alias was created. The named set is most often used in complex MDX queries to facilitate reading of these queries and to facilitate maintenance. We hope this article was useful for you and you’ve discovered something new in MDX topic. Remember, you can always find more related info in our blog, as well as practice with OLAP for free with our demo and 30-day free trial. Generate the CSS style for border radius, fonts, transforms, backgrounds, box and text shadows with the online CSS code generators.